Does quinoa (pronounced “keen-wah”) live up to all the superfood buzz? It turns out, yes, quinoa does offer many nutritional benefits. Read on to learn why you should eat quinoa and how you can add it to your food plan. 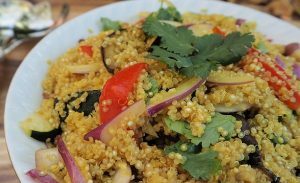 Can quinoa fit into a vegetarian/vegan food plan? Quinoa is one of only a few plant foods that is a complete protein (it provides all 9 essential amino acids that the body cannot make). With 8 grams of high quality plant protein per cup, quinoa fits naturally as part of a vegetarian or vegan food plan. If you’ve never prepared quinoa before, fear not! But, before you throw it on the stove, be sure to rinse well to rid of its bitter coating. Quinoa can be easily prepared in a rice cooker or on the stove with a liquid to dry quinoa ratio of 2:1. For every cup of uncooked quinoa you plan to prepare, add twice the amount of liquid. For extra flavor, use low sodium broths, aromatics, herbs or spices. 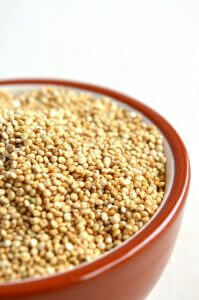 But before you start cooking, just a heads up: 1 cup of dry quinoa yields about 3 cups of cooked quinoa. It’s ready to eat when the little white tail—the germ of the kernel—sticks out (or about 15-20 minutes). Before serving, just fluff it up with a fork. Preparation: In a medium saucepan, bring quinoa and liquid to a boil. Reduce heat to low, cover and simmer until tender and most of the liquid has been absorbed, about 15-20 minutes. Fluff with a fork. Quinoa is super versatile. It can be eaten hot or cold, as a hot grain (like rice), cereal grain (like oatmeal), mixed together in salads, soups, stews, porridge, even in quinoa “oatmeal” cookies or quinoa pudding. You can also have it as a breakfast grain or in Quinoa-Stuffed Squash. Want more help decoding nutrition, weight loss, and wellness? 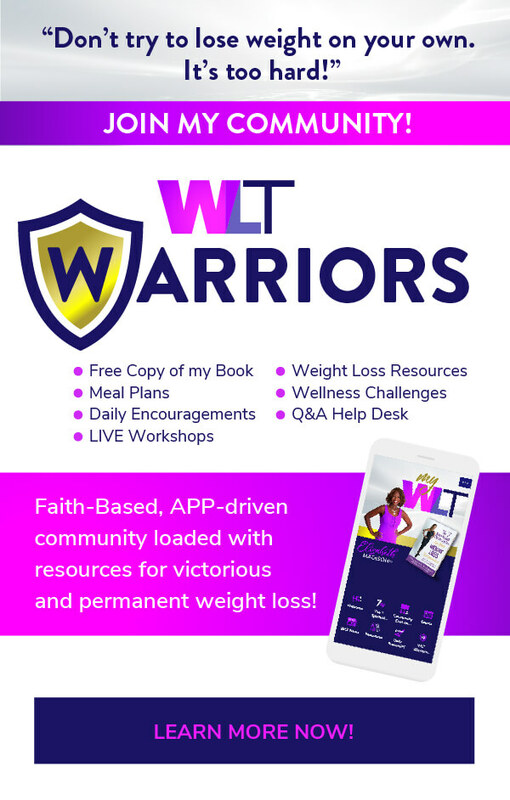 Check out the WLT Warriors Program. You’ll receive encouraging messages every day, access to helpful articles, new tasty, healthy meals plan every week, and much more!